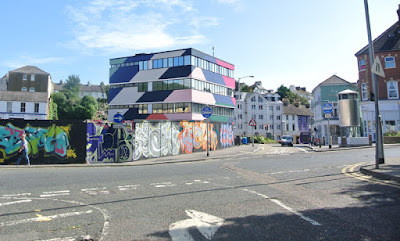 Folkestone Triennial: a town transformed by art? “It’s the best job in the world,” enthuses Folkestone Triennial curator Lewis Biggs, as he bounds along the Leas promenade in a straw hat and tropical shirt. 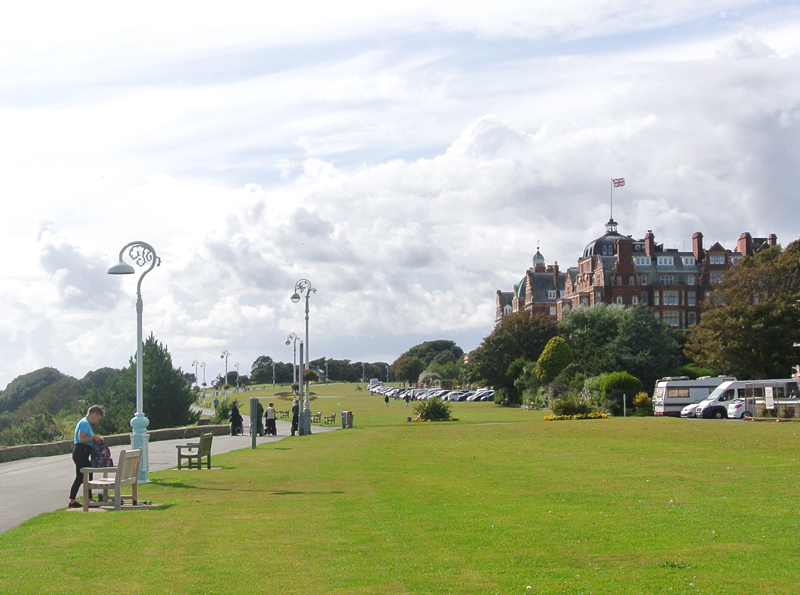 The Victorian seaside splendour of the Leas, lined with grand hotels and mansion blocks, is one of the locations currently displaying new artworks for the fourth instalment of the town’s triennial. 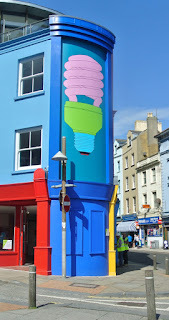 Some require the viewer to look hard to spot them – David Shrigley and Camille Biddell recreated one of the Leas’ traditional, ornate lampposts from memory and installed it on the Leas, where it differs only slightly in height and colour from those around it – whereas Richard Woods’ brightly coloured holiday chalets stand out garishly around the town. His fantasy structures float in the harbour and perch on the top of the cliffs, aiming to highlight the impact of second home ownership on the south east’s overheated property market. Across the town, the triennial opens up new spaces to residents and visitors alike. This includes a former Baptist burial ground, hidden among a huge redbrick railway viaduct and tall, austere rows of terraces. Accessed via a steep row of steps, it hosts sensor-activated sound compositions by Emily Peasgood. Antony Gormley invites visitors to descend into the dank, cavernous space under the Harbour Arm, where one of his characteristic figures surveys the dramatic white cliffs of Dover and the passing of cross-channel traffic. Hoycheong Wong makes the invisible visible, giving a new façade to an otherwise anonymous Islamic cultural centre, which for 28 years has served the area’s 300 Muslims from a nondescript industrial building. 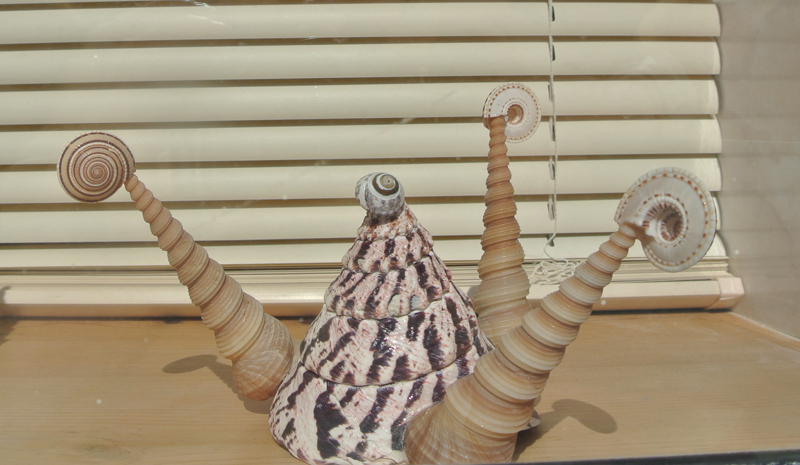 Other pieces blur the boundaries between the private and the public, as in Amalia Pica’s seashell sculptures, positioned in people’s front windows, which reference souvenirs, kitsch and collecting. Other work literally illuminates, in the case of a lamppost in the dingy market square, powered by an experimental mushroom battery, installed by Nomeda and Gediminas Urbonas. 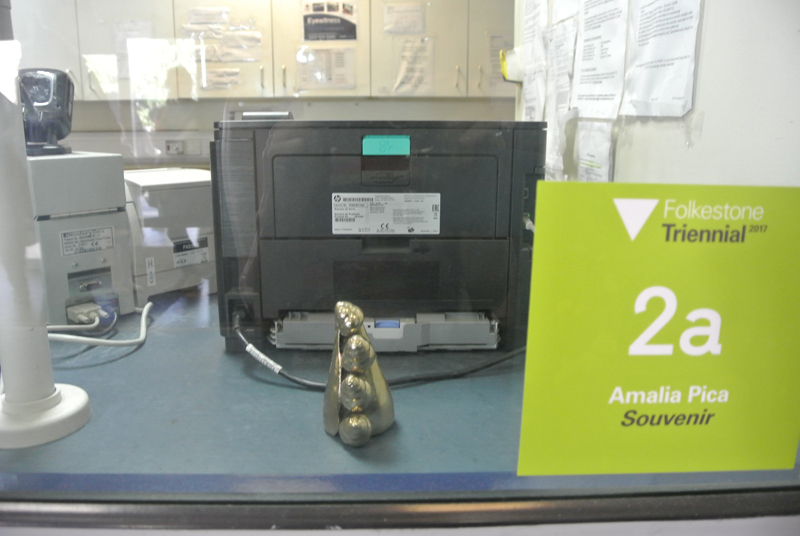 Some of the work highlights familiar locations or landmarks. Alex Hartley’s 'Wall' appears to balance precariously at the edge of the white cliffs, constantly at risk of erosion. 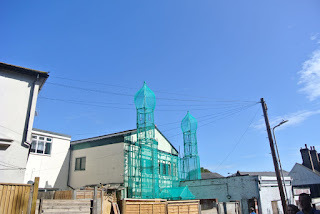 Other artists bring attention to aspects of the town’s history and economy, as in Jonathan Wright’s small-scale replicas of Folkestone’s fishing fleet – only ten of which remain in operation – developed in collaboration with local fishermen and suspended on posts around the town. Lubaina Himid, meanwhile, suggests an alternative history in her beachfront jelly mould pavilion, that encourages us to think about the links between leisure and pleasure, slavery and sugar. This is Biggs’ second triennial – he took over from Andrea Schlieker for the 2014 edition – and it’s clear that he considers it a job for life. 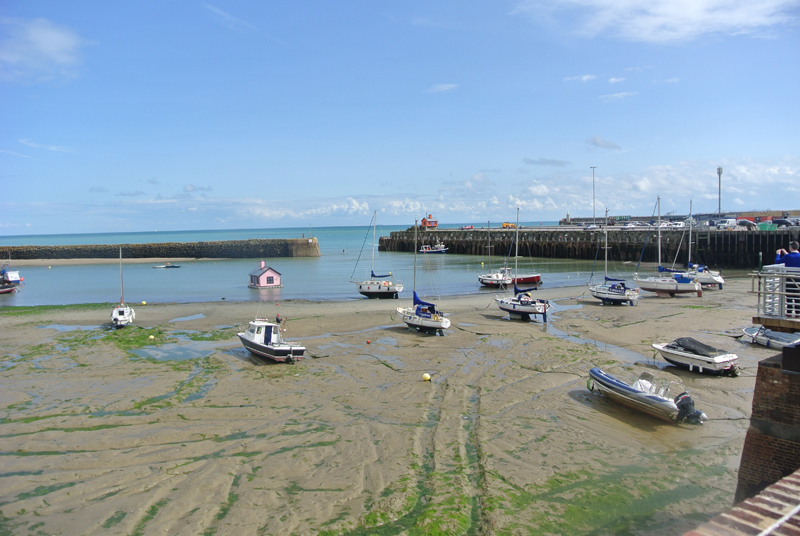 His enthusiasm stems partly from the opportunities offered by Folkestone’s architecture and geography – “I’m obsessed with art and place,” he explains. “They are constructed in the same way – through material and stories.” The process of choosing work for the triennial starts, Biggs explains, “with a list of places I want to illuminate”. Biggs’ concern with place-making and transformation is shared by Alastair Upton, Chief Executive of the Creative Foundation. 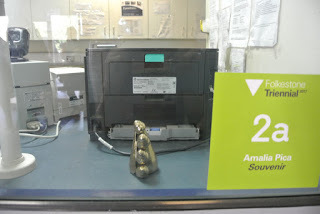 The Creative Foundation was formed in 2002 by the philanthropist Roger De Haan, founder of Saga, a major local employer based in nearby Sandgate (De Haan is still chair of the Creative Foundation). 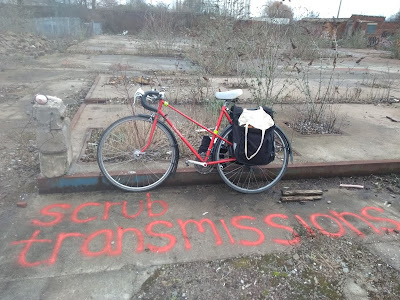 The Creative Foundation set out to explore the potential for creative-led regeneration in a town that had “lost its economic purpose” following the decline of tourism in the second half of the twentieth century and the loss of its channel crossing in 2000. 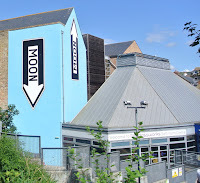 For Upton, the raison d'être of the Creative Foundation, which he joined in 2011, is to ask: “How can creative activities make Folkestone a better place to live, work, study and visit?” The answer, for Upton, is by creating a place that has “interesting architecture, buildings and things going on – a cultural life”. Both Upton and Biggs previously worked in Liverpool, Biggs as curator of Liverpool Biennial from 2000-2011, before which he led Tate Liverpool, and Upton as Director of the Bluecoat in Liverpool. Upton explains that “historically all the stories about Liverpool were negative”. 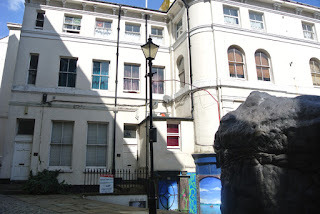 Liverpool’s designation as the Capital of Culture in 2008 was an opportunity to change the way the city was perceived, both by residents and by outsiders. “The defensive pride that people felt has became positive,” says Upton. Having seen how art can change places in Liverpool, Upton and Biggs share a sense that there is potential to “make more of a difference” in Folkestone, a medium-sized town of around 50,000 people. In the nine years since the first Folkestone Triennial took place in 2008 the town has undeniably undergone something of a transformation. When the work of the Foundation started, the town had been subject to decades of decline. Like town centres across the country, the high street has been in a sorry state for years: one of the largest retailers, M&S, abandoned the town in 2006, leaving empty shops in its wake. Although community arts company Strange Cargo was long-established in the town, there was little in the way of contemporary art of national or international quality in Kent. For many years the Metropole Gallery, founded in 1961 with the support of the critic and broadcaster Sir Kenneth Clark – a resident of Saltwood Castle in nearby Hythe – brought a varied programme of changing exhibitions by emerging and established artists to the town. However, constrained by its base in an old-fashioned Victorian building dominated by parquet floors, large windows and wooden panelling, it finally wound down in 2008. One catalyst for the revival of the Folkestone’s fortunes has been the opening of the high-speed train route from London. 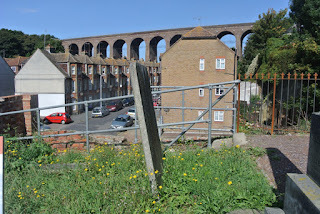 In 2007, the Kent coast was connected to St Pancras by high-speed train: the journey from Folkestone to London, which previously took around an hour and fifty minutes, can now be done in under an hour. This has had the effect of bringing the Kent coast closer to London; it has also prompted an influx of incomers, including artists, attracted by cheaper property and a better quality of life, still within commuting distance of the capital. 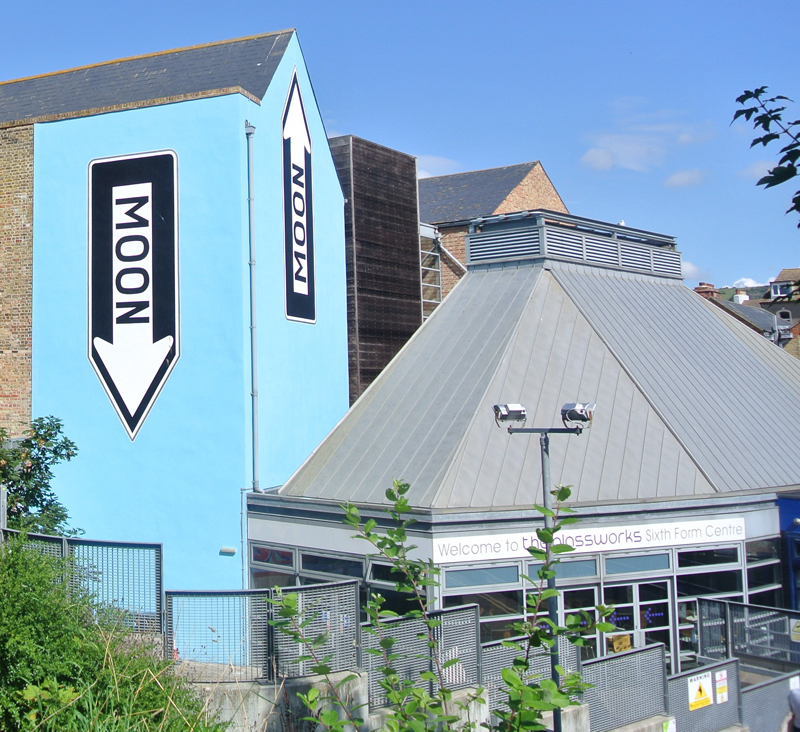 The cultural offering in the county, too, has improved dramatically in the past five to ten years, with the opening of the Turner Contemporary in Margate in 2011 and the Beaney in Canterbury in 2012 (as well as the Jerwood Gallery in Hastings, East Sussex in 2012), as well as new music venues along the coast, from Ramsgate Music Hall to Dover’s new Booking Hall venue. However, Upton sees the Creative Foundation as offering an alternative to the “concept or consumption-led” gallery model, which relies on a landmark building to create a trickle-down effect in the town’s economy. Instead, Upton sees a need to “make a place for people to make”, believing that it offers a “firmer base for development” and a “change that brings the whole economy with it”. The Creative Foundation started this process by “making a place for artists to live and work, a production base”. It bought, did up and hired out ninety buildings in a derelict and unloved area of town; these spaces are now at full capacity. Today, the old town is almost unrecognisable. In the picturesque old high street, derelict shops have been smartened up and painted bright colours. The cobbled streets are now lined with coffee shops, small galleries and boutiques. The triennial is just one aspect of this transformation. Alongside the triennial is an established fringe festival, and independent galleries and artist spaces proliferate in the old town. These include the Brewery Tap, which showcases work by artists and academics from the University of the Creative Arts. Folkestone Museum has recently reopened in a new space in the former town hall, telling the stories from the town’s natural and archaeological history, as well as hosting changing exhibitions. 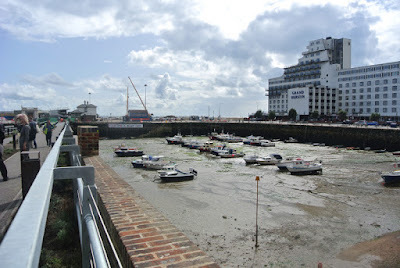 One of the biggest transformations of all has been the reopening of the Harbour Arm, in a run-down part of town that few had any reason to venture into following the demolition of the Rotunda amusement park and the closure of the ferry crossing. Until recently, the Harbour Arm station connected Folkestone to the continent via the Orient Express; although trains no longer run there, it’s been reinvented as a leisure destination, with pop-up bars and food stalls in the former station buildings. 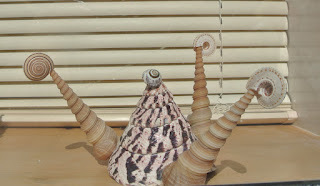 Snaking dramatically out into the sea, it offers views out to France and the white cliffs of Dover in one direction, and around the bay to Dungeness power station in the other. For Upton, another of the big success stories is the Quarterhouse, which hosts gigs, film screenings, comedy and spoken word and other events. Unlike many arts venues, whose subsidised programme is patronised mainly by those in the upper socioeconomic groups, he says its audience represents a very similar demographic to that of the town. Upton also emphasises the Foundation’s work with young people. For example, “every single child” from the town’s schools visits Folkestone Book Festival, there is a drop-in arts club, and there are opportunities for work experience. There’s still work to be done, for example in promoting and developing jobs and livelihoods for local people in the creative industries. There are opportunities for further connections to be made with projects exploring digital futures. There’s also a need for the art scene to be more visible in between triennials, and for Folkestone to be linked up more with other cultural initiatives across the South East: neighbouring East Sussex, separated from Folkestone by Romney Marsh, now has a Coastal Cultural Trail connecting up the Towner Art Gallery in Eastbourne, the De La Warr Pavilion in Bexhill-on-Sea and the Jerwood Gallery in Hastings. Upton highlights that “lots of artists in the triennial describe themselves as socially engaged”, and some of the most interesting work at the triennial is that which encourages interaction, or provides spaces for people to come together to talk, think and play. 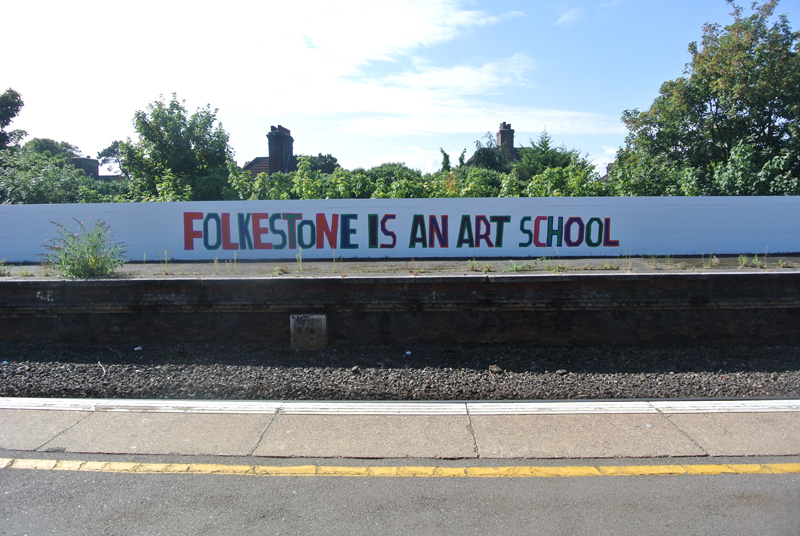 This ranges from Sol Calero’s brightly-painted and participatory 'Casa Anacaona' beach pavilion, which is filled with movable furniture and acts as a social space for young people, to Bob and Roberta Smith’s ‘Folkestone is an art school’, which is working with ten local young people as well as celebrating the artistic activity that already goes on in the area: as Biggs explains, “Folkestone is an art school already – you need to change your attitude so you can see it”. 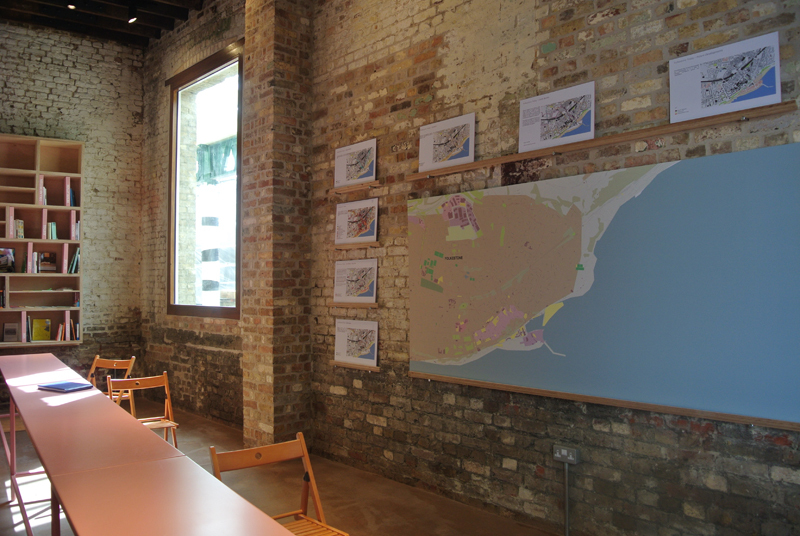 A new ‘Urban Room’ in the recently restored former Customs House at the Harbour Arm houses a library of books about the history of the town, alongside texts on urbanism, art and citizenship, as well as maps and drawings showing the ways the town’s landscape and its uses have changed over time. It’s a place not just to learn about the past, but to add to, to imagine and to discuss the future. 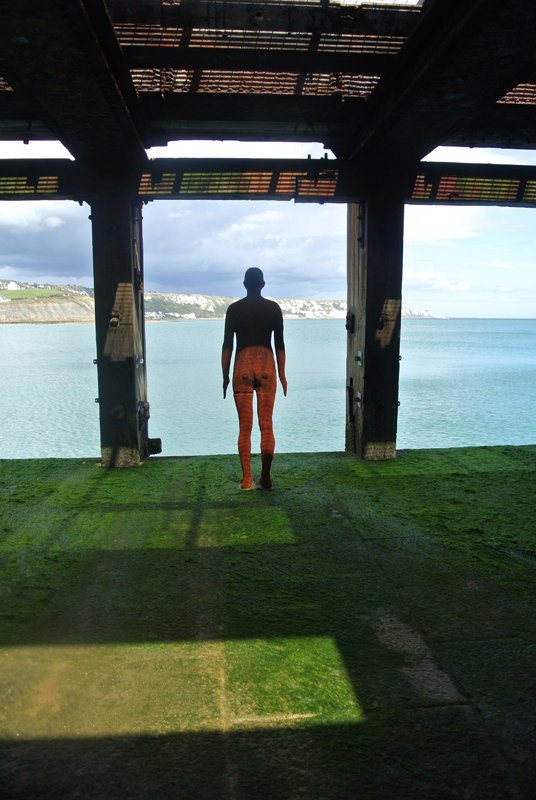 Folkestone Triennial: Double Edge takes place at various venues in Folkestone from Saturday 2 September until Sunday 5 November. 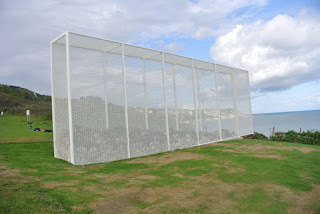 For more information, including locations, opening times and the accompanying programme of events visit www.folkestonetriennial.org.uk.